The biggest risk is to the Pantanal’s seasonal flood pulse, which maintains the very health of the wetland system. During the wet season from October to March, rainfall in the headwaters of the Pantanal drains down some 1,200 rivers to fill the vast floodplain, which acts as a sponge for all the incoming freshwater. The once-terrestrial landscape becomes a maze of waterways dotted with lush islands that teem with life. Then the dry season comes, from April to September, and the floodplain acts as a saturated sponge, slowly squeezing out the water it had soaked up in the months before and supplying moisture long after the rains have gone. The result is a dynamic ecosystem that provides ideal habitat for more than 4,700 plant and animal species and sustains the livelihoods of 270 communities. The Pantanal, in fact, hosts the highest concentration of jaguars in the world and is considered one of South America’s hotspots for mammal diversity. The Pantanal remains relatively pristine right now, but projections paint a grim picture for this region’s future unless immediate measures are taken. Presently about 12 percent of the wetland, virtually all of which is in private hands, has been deforested. That’s better than the neighboring Amazon, but by 2050 scientists predict the Pantanal’s vegetation could be devastated by the expansion of agriculture and cattle ranching. 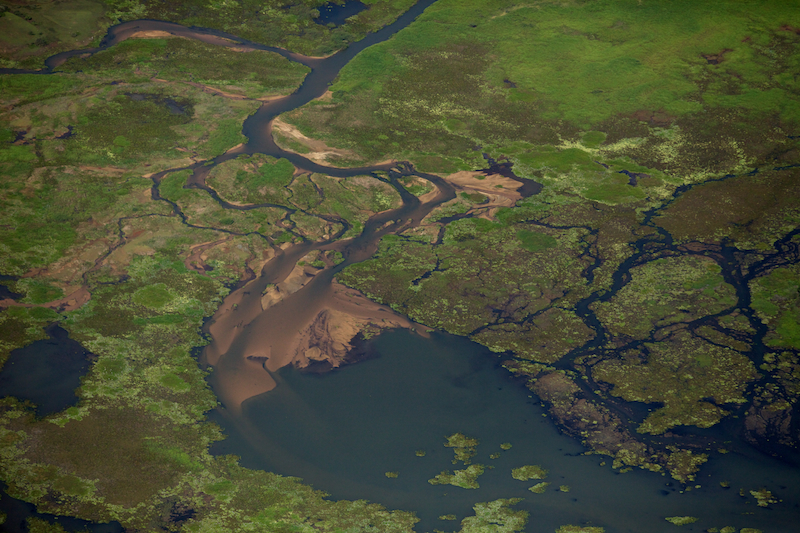 This combination of development, natural habitat conversion and climate change could not only disrupt the ecosystem’s natural rhythm but also result in costly and deadly floods for the millions of people living in the downstream countries of the basin, namely Paraguay, Uruguay and Argentina. Forming part of the headwaters of the Rio de la Plata Basin — the second largest watershed in South America and fifth largest in the world — the Pantanal functions as a natural reservoir for the flood waters draining the upper basin. Along with The Nature Conservancy, WWF published a report in 2012 identifying the risks confronting the Pantanal as a first step toward evaluating the region’s vulnerability to climate change. And there’s been some important action in the years following. 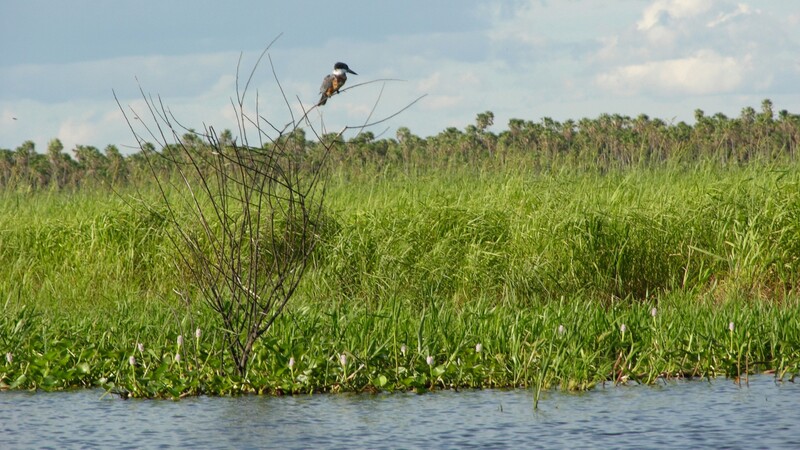 Since 2015 the governments of Bolivia, Brazil and Paraguay have been working on a transboundary effort called the Trinational Initiative for the Integrated and Sustainable Development of the Pantanal, which entails sustainably developing and conserving this globally unique wetland. 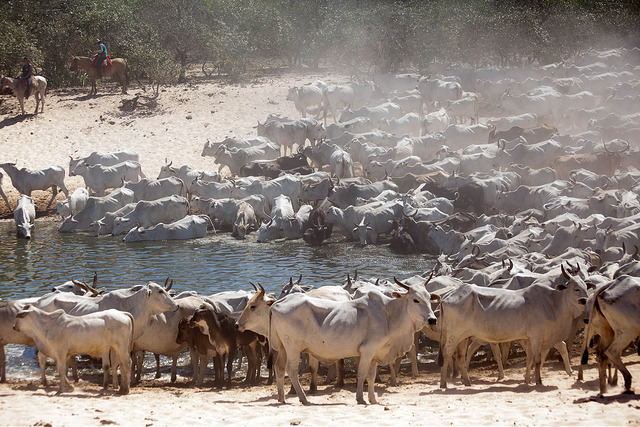 The initiative seeks to reduce pollution, strengthen water governance and expand scientific knowledge on the Pantanal, while protecting the rights of traditional peoples. In doing so the three countries would help protect the regional biodiversity, ecosystem functions and the natural flow of the Paraguay River’s tributaries — all of which are vital for ensuring the future resilience of this landscape in the face of climate change. 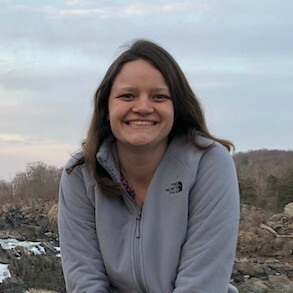 Though the signing is a significant step for conservation, more funding is needed to help enable state governments, local leaders and stakeholders to translate the initiative’s policy stipulations into concrete actions. And more support from the international community is required to further strengthen political will and the policy implementation process. 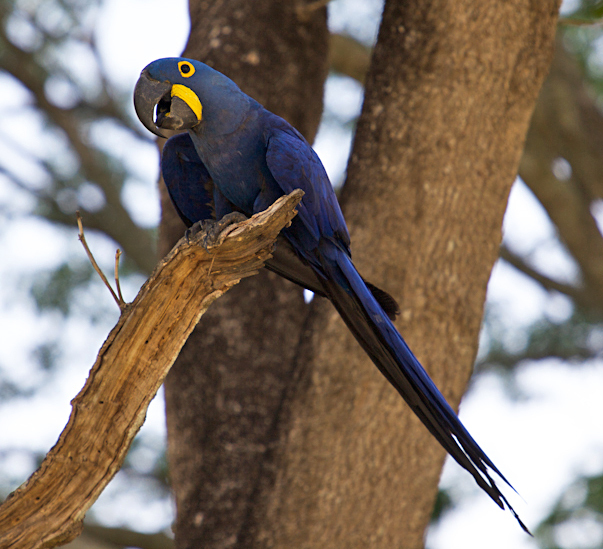 The Pantanal’s future may also be further jeopardized by recent politics. The October 2018 election of Brazilian President Jair Bolsonaro, who threatened to pull the country out of the Paris climate agreement and roll back national environmental protections, has raised alarm bells in the international environmental community. His political ideology and that of his supporters reflect the line of thinking that natural ecosystems, like the Amazon and the Pantanal, are impediments to development. Yet Brazil’s own Agricultural Research Corporation has estimated the annual value of the Pantanal’s ecosystem services at $112 billion. To most people, the Pantanal is an unknown. That needs to change, and the world needs to step up to conserve it — now.